When you reach the trial phase of your personal injury claim, your personal injury lawyer White Plains will walk you through all the preparations in order to be a good witness. Overall, you will be encouraged to listen to the questions, answer just what is asked of you and tell the truth. You should have plenty of opportunity to practice your testimony with your personal injury attorney White Plains. There are several key points that your personal injury lawyer White Plains will go over with you before you appear in court to testify. First, they’ll want to review your deposition to make sure there aren’t any discrepancies with what you plan to say under direct questioning from your personal injury attorney White Plains. You will also be advised not to mention anything regarding insurance as it can lead to a possible mistrial. 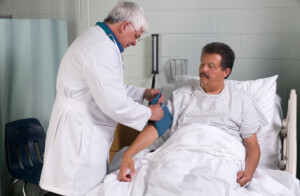 Your lawyer will want you to go through your medical history as it pertains to your injury. Finally, your personal injury lawyer White Plains will advise you to dress appropriately like you would if you were going to church. This might seem like a lot to take in, but working with a lawyer like personal injury lawyer White Plains Mitchell Baker will put you at ease. You can reach out to his offices by calling 914-681-9500 and start your defense the right way. A client of a personal injury attorney White Plains will often ask what steps to take when preparing to give a deposition. 1) Wear clothing suitable for the proceeding. 2) When your lawyer gives you something to read, read it. 3) Even if you believe the response to a question will harm your case, answer truthfully. Lying will do more harm than good. 4) Do not get into a back-and-forth with the defense attorney. Simply answer the questions as best you can. 5) Be courteous with everyone including the defense attorney and the judge. 6) Listen attentively to all questions and wait until the question has been completed. 7) Think about your responses before giving them. 8) Simply reply to the questions as they are asked by both your personal injury lawyer White Plains and the defense attorney. Only give necessary information. 9) Answer in a clear speaking voice. If you have questions about how to prepare for a deposition, a personal injury attorney White Plains can help. Call Mitchell Baker at 914-681-9500 today. One question you will likely ask your lawyers is when your case will actually settle. 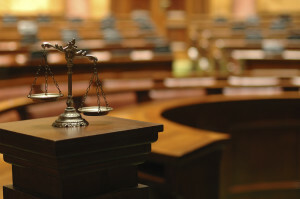 Fairfield County personal injury attorneys say that some cases only take a few months to settle following your injury. However, some cases may last years, as the settlement process may take a while, or may not happen at all, causing you and your attorney to go to trial. Fairfield County personal injury lawyer advises that it is practically impossible to predict when your claim will settle, especially in the early stages of your claim. A Fairfield County personal injury attorney is likely to wait until your recovery is complete, or at least until your recovery is nearly complete, before even attempting to reach settlement on your case. What is the total amount of your medical bills? Is your treatment complete, or will there be a need for further treatment? 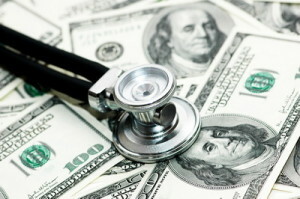 If your treatment is not complete, can the remaining costs be estimated? Are your injuries temporary or permanent? If any of your injuries are permanent, will your ability to earn your income be affected? How much income did you lose due to your injury? Did you lose any other employment benefits due to your injury? Will you lose any further income because of your injury? Your Fairfield County personal injury attorney will advise that these are not the only factors that need to be considered. However, your lawyers will be able to approximate a settlement timetable as your case progresses. For more information regarding the settlement date of your case, contact Fairfield County personal injury attorney Mitchell Baker at 914-681-9500. There are things you can do to assist your Fairfield County personal injury lawyer with the handling of your case. Many of these are directly related to keeping organized records. Before any medical facility, physician or employer will give out any information concerning you, formal authorization granting permission must be obtained. To release such information without written, signed authorization is illegal. Your Fairfield County personal injury lawyer will require your signature on any documents that he or she may request from you. For help or more information, contact Mitchell Baker, your Fairfield County personal injury lawyer, by calling 914-681-9500 today. When you file a claim for injuries with an insurance company, expect the adjuster to heavily scrutinize your medical records and behavior. An experienced Fairfield County personal injury litigation attorney will do the same and advise you about certain factors that could seriously hurt your claim. Adjusters may grow suspicious if they see a gap in time (several days or more) between your accident and the date you sought medical treatment. Your Fairfield County personal injury litigation lawyer will want you to prepare to account for that gap and be able to explain why you didn’t claim an injury at the scene of the accident, but later visited the emergency room. If you failed to mention the accident to the doctor when you did seek treatment, this can seriously undercut your case. The adjuster will be skeptical if your medical history has no note about the accident or indicates that the injury was caused by a pre-existing condition. 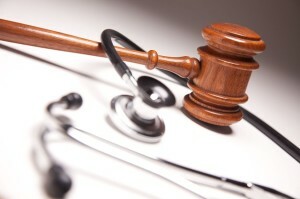 Let your Fairfield County personal injury litigation lawyer review your medical records and advise you on what to do. If you have a history of filing multiple injury claims, the adjuster will likely grow suspicious of fraud. Your Fairfield County personal injury litigation attorney will likely tell you to expect a rigorous investigation by the adjuster into your activities. Your attorney can advise you on how to establish the independent nature of your claims. Put an experienced Fairfield County personal injury litigation attorney to work for you by calling Mitchell Baker today at 914-681-9500. If you file an injury claim with an insurance company, you can expect the adjuster to perform a thorough investigation of your case. A Fairfield County personal injury litigation lawyer can fill you in on what to expect. Your Fairfield County personal injury litigation attorney can explain to you how your adjuster will investigate your claim. Often, adjusters will even go door to door and speak to your neighbors or co-workers. The adjuster will hope to find evidence that you are not as injured as you claim. He will ask your neighbors if you are physically active, whether they have seen you doing heavy physical activity such as mowing, raking leaves, playing outside with your kids, etc. In many cases, the responses the adjuster obtains may not necessarily be damning or admitted in court, but they may give the insurance company options to investigate your case further. Your Fairfield County personal injury litigation lawyer knows that the adjuster will likely need pictures or videotape of you engaging in strenuous activity to discredit or deny your claim. Often, adjusters will hire a professional private investigator if they have suspicions. Let your Fairfield County personal injury litigation attorney advise you on what to expect and how best to respond to these adjuster tactics. For experienced legal help in dealing with adjusters, contact a Fairfield County personal injury litigation lawyer by calling Mitchell Baker today at 914-681-9500. Frequently, clients have many questions for their personal injury lawyer in Westchester, NY regarding what happens after the trial is over. Following are examples of some commonly asked questions. In the Event That We Win, How Long Before We Get the Money? If you and your personal injury attorney in Westchester, NY receive a favorable verdict, it will generally take between several weeks to one month for the case results to be finalized. As long as the attorney for the defense doesn’t appeal the verdict, all lawyers will discuss the final amounts with consideration to the decision in the case and other issues such as attorneys’ fees, deductions, court costs and deductions. What Will Happen if We Lose the Case? Of course, your personal injury lawyer in Westchester, NY doesn’t want to lose the case any more than you do. However, it does happen sometimes and if you lose, your attorney will examine the potential for an appeal of the decision. Filing an appeal can be very costly, but your attorney will give you advice as to whether an appeal is worthwhile or not. Can We Still Obtain a Settlement if We Lose? Your personal injury lawyer in Westchester, NY will explain to you that it is rare that a plaintiff will receive a settlement after losing a case. Occasionally, the insurer might offer a settlement in order to prevent you from filing an appeal. However, this is unlikely, so it is better to concentrate on winning the case while it is in progress. When you have a case in which the fault is clearly the other party’s and you have followed your attorney’s instructions in preparing for the trial, there is a good chance you will receive a positive verdict. If you or a loved one are in need of a personal injury lawyer in Westchester, NY and have questions regarding your case, Mitchell Baker can help. Call today at 914-681-9500 to discuss your case. An experienced injury attorney in Westchester is often asked when the actual trial will take place. 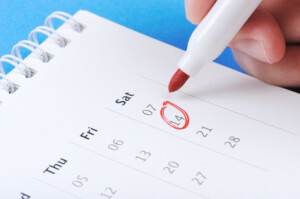 Because of the many variables involved, it is impossible to give an exact date; however, it helps to know which factors can slow down or speed up your scheduled trial date. Your injury lawyer in Westchester should be able to give you a rough estimate of when your case might go to trial. 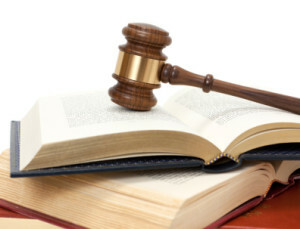 In certain jurisdictions, it can take less than a year after a suit is filed for that case to go to trial. In other jurisdictions, it can take many years before similar cases are heard. 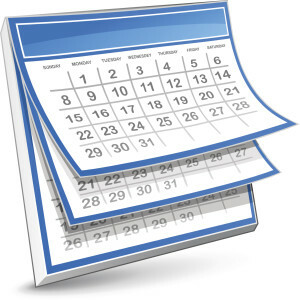 You will likely receive sufficient notice to prepare for trial, regardless of the date. For more information, speak to your injury attorney in Westchester. If you need an injury attorney in Westchester, call Mitchell Baker at 914-681-9500 today to schedule a free initial consultation. The deposition is an important procedure that occurs in almost every civil action in which you, as the plaintiff, provide your first sworn testimony regarding your case. You will be asked many questions by the defense attorney about the accident, your injuries, and background information. Your personal injury lawyer in Westchester, NY will be there with you to make sure that you are not asked irrelevant or leading questions. Your answers will be recorded and transcribed, and may be videotaped for later use at trial. Can You Avoid Giving a Deposition? 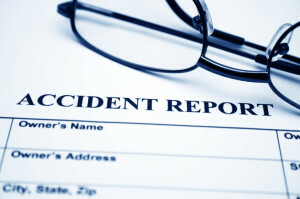 Some people ask their personal injury attorneys in Westchester, NY if there is any way they can avoid a deposition. Unfortunately, there isn’t— the law requires that if the defense asks to depose you as the plaintiff, you are to oblige. Will the Opposing Party Be Deposed as Well? Another common question is whether the person responsible for the accident will be deposed. If your personal injury lawyer in Westchester, NY requests it, the opposing parties will be deposed as well. But in some cases, it may be better for your attorney not to conduct depositions, as your personal injury lawyer in Westchester, NY can explain further. The deposition is the first opportunity for both the defense attorney and your personal injury attorney in Westchester, NY to size up each other’s case and prepare for what will likely come out at trial. If you have further questions about depositions, contact an experienced personal injury lawyer in Westchester, NY. Call Mitchell Baker at 914-681-9500. The length of time it takes for most cases to reach a settlement can vary. Your Westchester injury attorney can explain that the length of time can range from weeks to months or longer from when the initial settlement demand letter was sent. A Westchester injury lawyer can also inform you that in clear liability cases where the injuries are not very serious, it typically can take less than two months. Regardless, every case is unique, so it is best to ask your attorney how long it will likely take to reach a final settlement. Several considerations can impact when an adjuster answers a settlement demand letter and presents a final offer on a claim. A Westchester injury attorney will tell you that the factors could include the volume of cases the adjuster is juggling, whether the liability is clear-cut and whether you share any responsibility for your injuries. Other factors include whether any additional parties played a part in your injuries, how the particular insurance company in the case handles claims and whether the settlement figure was reasonable. Finally, the overall economic conditions can affect the way insurance claims are processed. Different times of year are better for settlement than others. 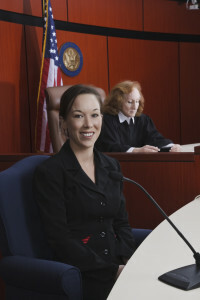 How long a case takes to settle depends on the specifics of the case as well as other factors. If you are involved in a personal injury case, call Westchester injury attorney Mitchell Baker at 914-681-9500.